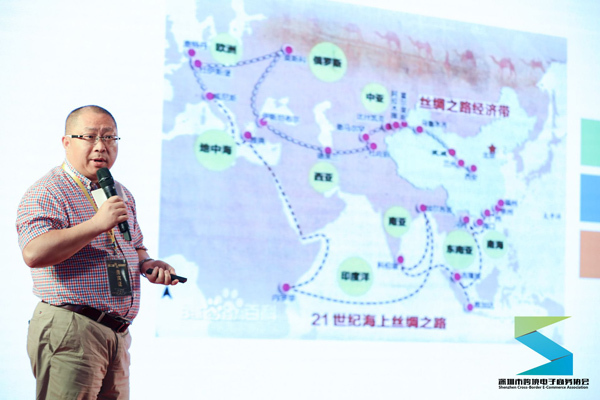 April 21, the theme of “One belt one road strategy to lead the new pattern of trade, create a new era of cross-border” the second China (Shenzhen) Cross-Border E-Commerce Summit was held in Shenzhen Futian Shangri-La Hotel, organized by the Shenzhen Cross-border E-commerce Association. 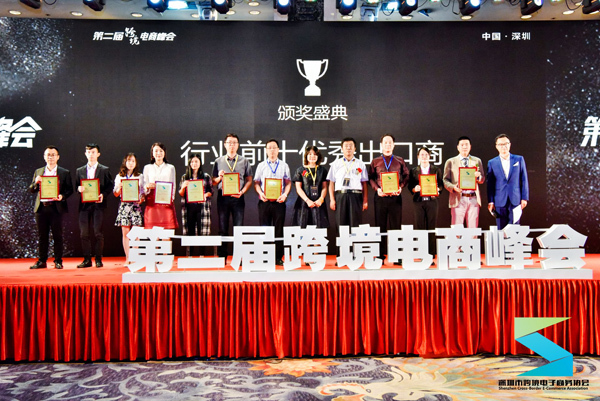 Mr. Liao Xuhui, the CEO of Amanbo, was invited to deliver a speech. Since the first China (Shenzhen) Cross-Border E-Commerce Summit was successfully held last year, it brought China's cross-border e-commerce industry leaders together and became the benchmark of China's cross-border e-commerce industry that has got much attention from the industry. 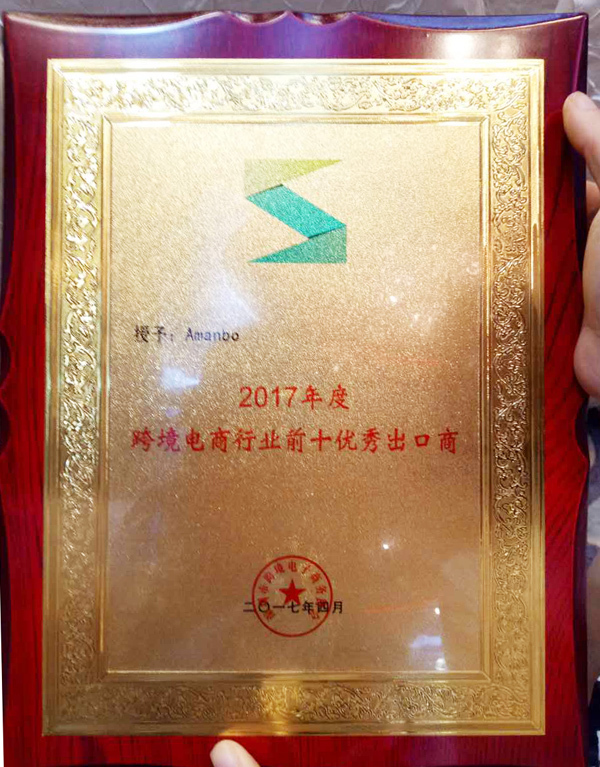 In the morning at the awards ceremony, due to Amanbo’s outstanding performance and contribution in the field of China-Africa cross-border e-commerce, it got the award of "2017 Annual Cross-Border E-Commerce Industry Top Ten Outstanding Exporters"! In the afternoon, Amanbo CEO Mr. Liao Xuhui was invited to share the theme of "Return to the Essence of Business - Road to Cross-border E-commerce in Emerging Markets". Mr. Liao Xuhui firstly took the African market as an example to in-depth analyze the emerging market opportunities for e-commerce. He analyzed from the current macro environment, the changes in the global pattern of the next 10 years and the rise of Africa. He said the macroeconomic environment, changes in the global competitive landscape and cross-border e-commerce are changing the traditional foreign trade, the “One Belt One Road” strategy, coupled with China and Africa has entered a comprehensive strategic partnership for China and Africa to provide a good basis for e-commerce; in the next 10 years, the international structure will be transformed into a dual structure of China and the United States, Africa will become a new growth point in the world, its political force will become the core element of international competition, and technology and investment will become the main means of possession of resources; the rise of Africa is mainly manifested in the advantages of natural resources, 1.2 billion huge population, high-speed population growth rate and the rapid growth of African economy in recent years. There is a saying “The duck knows first when the river becomes warm in spring”, with 17 years of experience in China and Africa and eight years of experience in the development of e-commerce, Mr. Liao Xuhui deeply felt the changes in trade in recent years: China and Africa are facing downward pressure on traditional trade, China’s Small and medium enterprises are not optimistic about the status of exporting to Africa, many needs of African importers and wholesalers can not be met, such as quality issues, trade risk control, etc . ; African Internet development prompted the emergence and development of African e-commerce; Africa’s 700 million mobile phone users also bring greater opportunities for the African mobile Internet and cross-border e-commerce. Above all make Africa to be the world's last largest cross-border e-commerce blue ocean market. So, how to seize the e-commerce opportunity in emerging market? 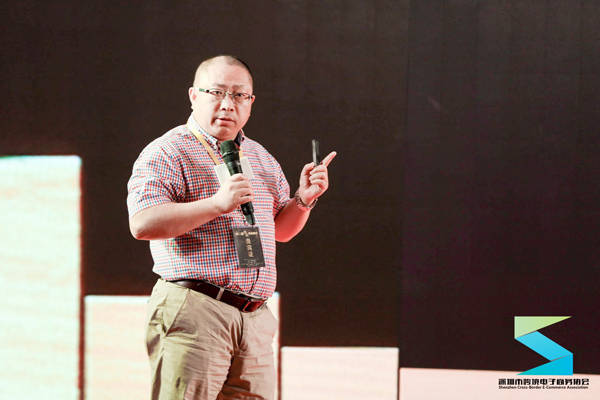 Mr. Liao Xuhui thinks that in order to seize this opportunity, must return to the essence of e-commerce. The essence of e-commerce is business, and the essence of business is value creation, that is to help users make money. So the essence of e-commerce is also value creation. There are many factors that affect the value creation. Mr. Liao Xuhui believes that products, channels, brands and services are the main factors that affect the value creation capability of cross-border e-commerce enterprises. He believes that the product strategy should consider two issues, one is what does the market need? Second, what can you offer? And what does the market need is determined by the level of economic development, economic structure, demographics, consumption habits and other factors of a region. For example, Africa is in the per capital GDP of about 1,500 US dollars, many countries at this stage are in infrastructure, so building materials, construction equipment, electrical electricity and other products are market demand; another example, the African region's birth rate as high as 5%, 18 years of age accounted for more than 60% of the population, so infants and young children consumption and youth consumption are very strong! Emerging market online consumption rate is less than 1%,the date of the large e-commerce platform is often provided by the one-sided analysis that is not reliable, what does the market need should be analyzed from the above point of view, coupled with the offline investigation! Knowing the market demand, the election problem is to be solved more than half, and then combined with your supply resources and supply channels, you know what you should sell! The channel is the path to help you send the product to the consumer. There are two ways of cross-border exports, one is traditional foreign trade, another one is cross-border e-commerce. And the goods arrive at the destination to the hands of consumers have few ways, there are traditional local distribution channels, local e-commerce, cross-border retail and several other ways. He believes that both online and offline channels are drainage and access. The cross-border e-commerce is not only using online drainage, but also use offline channels. If you are doing B2C, the user's reputation is your offline channel, if you are doing B2B, your customer's offline channel is your offline channel. If you want to do a good cross-border e-commerce in emerging markets, you must pay attention to the integration of online and offline channels. He believes that this integration is the inevitable development, which is determined by the transaction costs, consumer experience and the user value. He believes that the brand is the carrier of product vitality, no brand, your product may dry and dead at any time. At the same time, the brand is also the guarantee of the enterprise long-term running , the talisman to avoid price competition and the protection for product premium and reasonable profit. Emerging market brand management has a huge opportunity, which has less brand competitors, low brand cultivation costs, no trade barriers and other factors, making the emerging markets become the springboard of China's national brand internationalization. He believes that the localization service capacity is the fountain of the repurchase rate. Cross-border e-commerce localization service capacity is the short board of a large number of e-commerce enterprises, however it directly affects the customer's consumer experience and the product's repurchase rate. By using local partners or overseas warehouses to strengthen the localization service capacity building is an effective way for cross-border e-commerce enterprises to enhance the competitiveness. Finally, Mr. Liao Xuhui put forward some views on the operation of cross-border e-commerce in emerging markets. First, the platform is not the most important, the most important thing is the value creation ability of the enterprise; of course, a good platform can play the role to enlarge the value creation ability of the enterprise. Second, the data is not the most important, because in the emerging market has small number of users, large data marketing is paradox. Scientific analysis coupled with the actual market research can find the core issues. Third, the emerging market opportunities for early 2B will be greater, because 2C will be subject to category restrictions, should need for online and offline integration capabilities. After sharing, Mr. Liao Xuhui briefly introduced Amanbo. As a professional platform for cross-border e-commerce in China and Africa, Amanbo has gone through eight years, initially to create a professional cross-border trade platform between China and Africa, the African local distribution platform, the African import platform, China-Africa logistics platform, to build a China-Africa e-commerce ecosystem. He hoped that by virtue of their team's 17 years of experience in China and Africa and 8 years of e-commerce development, to help more Chinese enterprises do business in Africa, to promote sustainable development of China-Africa cooperation. The scene of a lot of guests and the audience are affirmed Mr. Liao Xuhui's unique views, they thought that this is a really good sharing!